Virtue: Audacious Faith – Daring to believe God for the impossible and doing something about it. 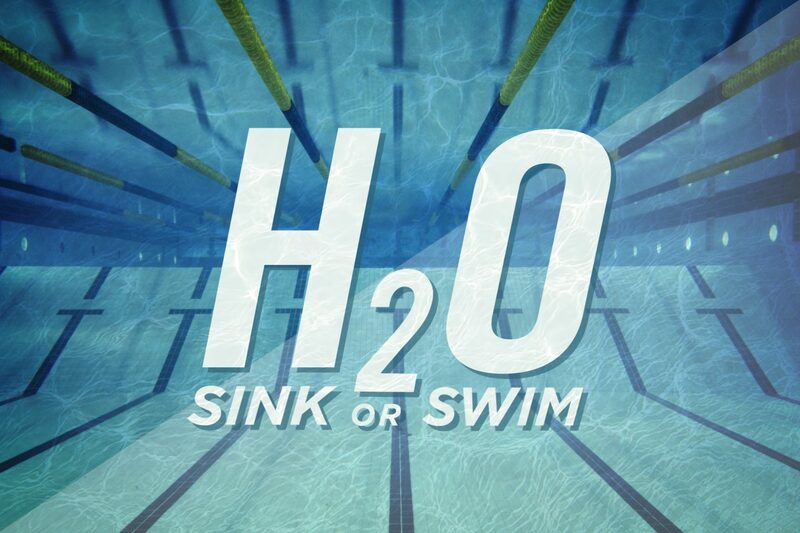 During our H2O:Sink or Swim series, we are learning about men in the Bible who had great faith. There is a chapter in the Bible that we call the ‘hall of faith’ because it lists many of these men. One man mentioned in the hall of faith is Noah. Noah was a man who had great faith, or audacious faith. He believed God would protect his family, but Noah didn’t just stop there – he put action to his belief and built a giant boat called an ark! Nate and Jeremy, two best friends who we meet in H20: Sink or Swim, are also going to need audacious faith as they train to compete at the Southeast Regional Lifeguard Trials. Help your child with their own training for the Bring It! Challenge. 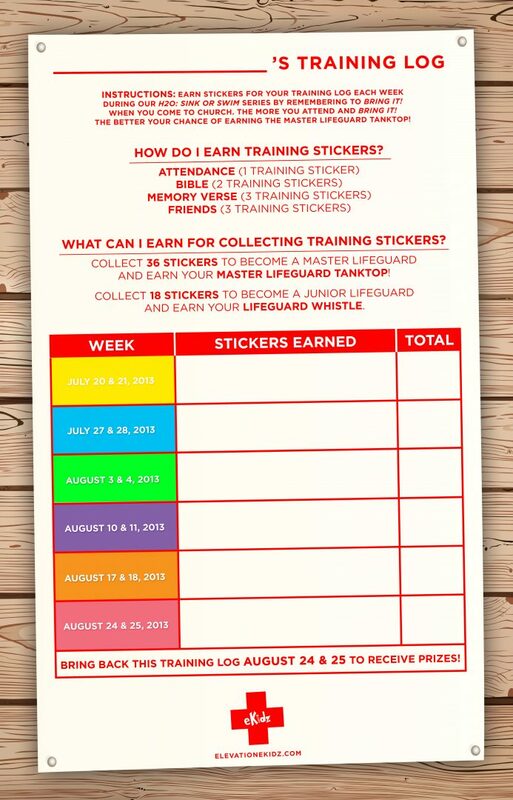 Each week your child can earn training stickers for attendance, bringing their Bible to Motion, reciting the memory verse, and bringing friends to church. Their training will help them earn the junior or master lifeguard title! Main Point: I Will Wait! 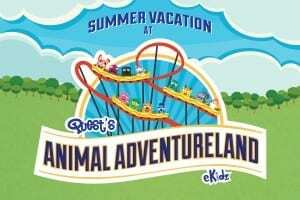 The BEST ride at Animal Adventureland opened this weekend, the Red Rabbit Roller Coaster, and boy, was the line long! 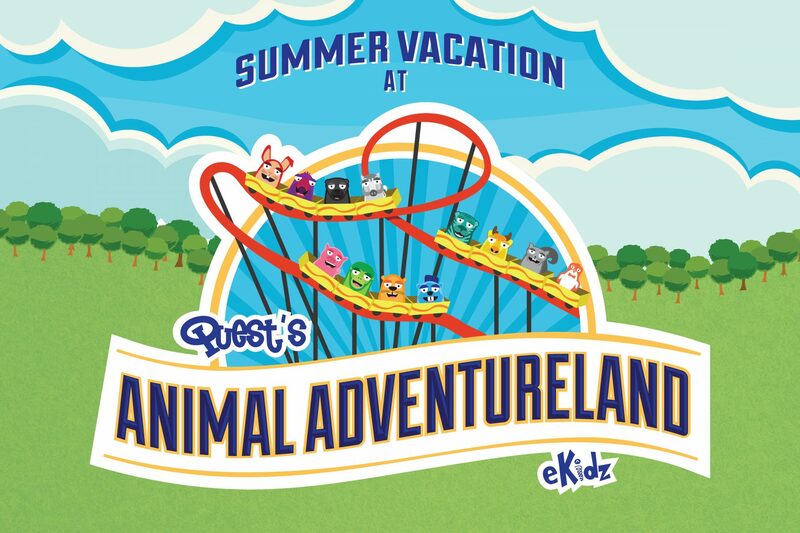 Rosie Rider wanted to create a ride that was so FUN that everyone in the park would want to ride it! And since everyone wants to ride the roller coaster, the line is really, really long! Rosie Rider didn’t create the ride just because it’s really fun. She also wanted people to remember to practice waiting and being patient. We learned a Bible story about a boy named David and how God chose him to become King one day. But David did not become king right away. He had to wait patiently until the time was right to become king! Just like David had to wait to become king, we learned “I Will Wait!” and practiced being patient, too! *Missed church this weekend? Cut out a few animal pictures from a magazine or newspaper and glue to a sheet of paper. 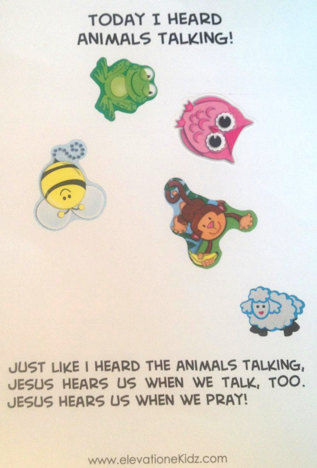 Use this sheet to play Guess the Animal with your toddler.